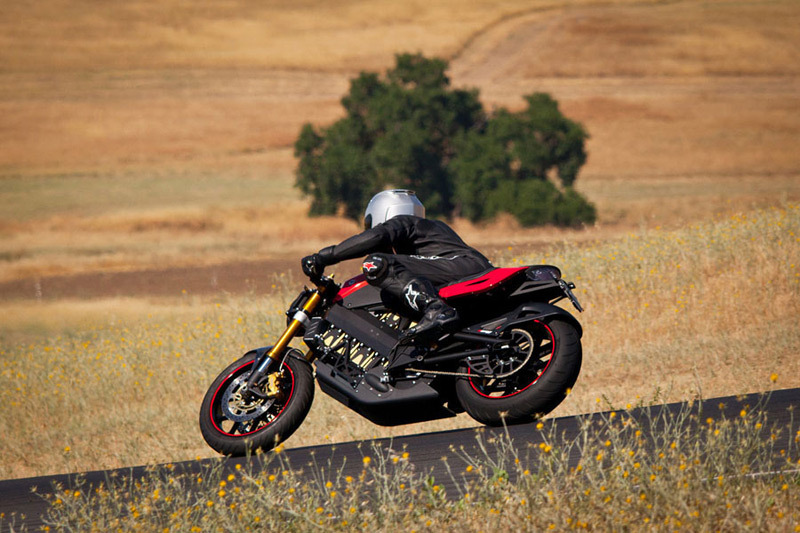 The Brammo Empulse 10.0 is the fastest and farthest-driving consumer electric motorcycle ever made, which can reach a top speed of 100mph and has a driving range of 100 miles. 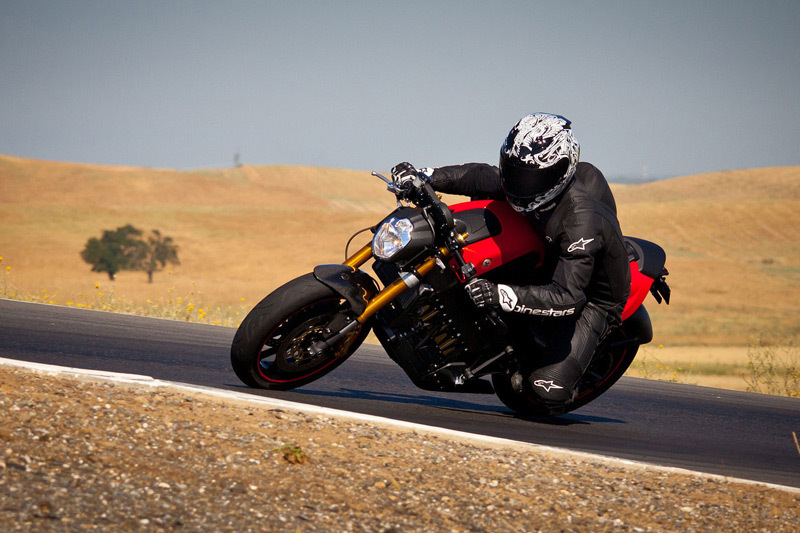 Brammo Empulse looks a lot closer to a conventional streetfighter or modern sportbike than any electric motorcycle. This bike is a solo riding machine and comes in three 88.8 volt iterations, the 6.0, 8.0 and the 10.0 models. The differences being in the battery pack capacity, which translates into longer average range and longer charge time. The Empulse 6.0, with its 6.0-kilowatt-hour (kWh) lithium-ion battery will provide an estimated 60-mile range, the Empulse 8.0, with 8.0-kWh battery will serve up 80 miles, and the Empulse 10.0 will deliver that magic 100-mile range on a single charge to its 10.0-kWh battery. However all these three versions of the Empulse “trio” will share the same 56.25-inch wheelbase rolling platform. A liquid-cooled, brushless AC motor powers the range, putting out an estimated 50 hp and 59 ft-lbs torque. 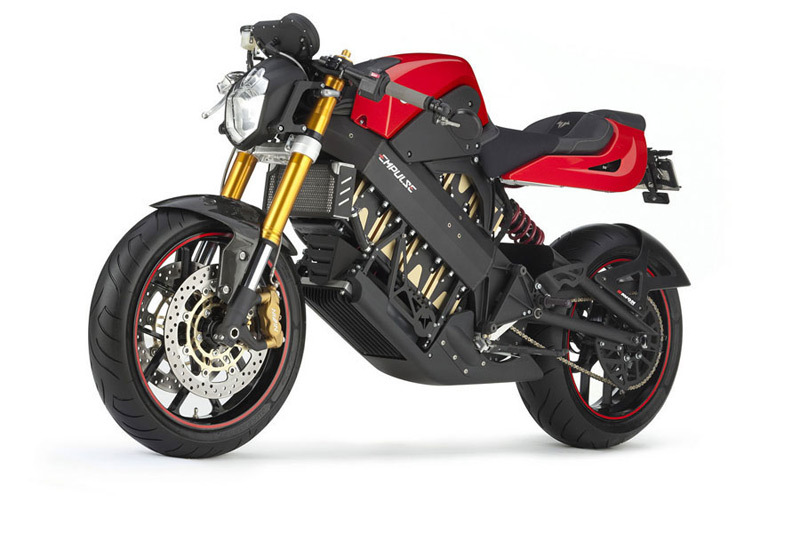 These three production versions of the Brammo Empulse have an estimated curb weight of 30lbs for the 6.0, 390 lbs for the 8.0, and 410 lbs for the 10.0. 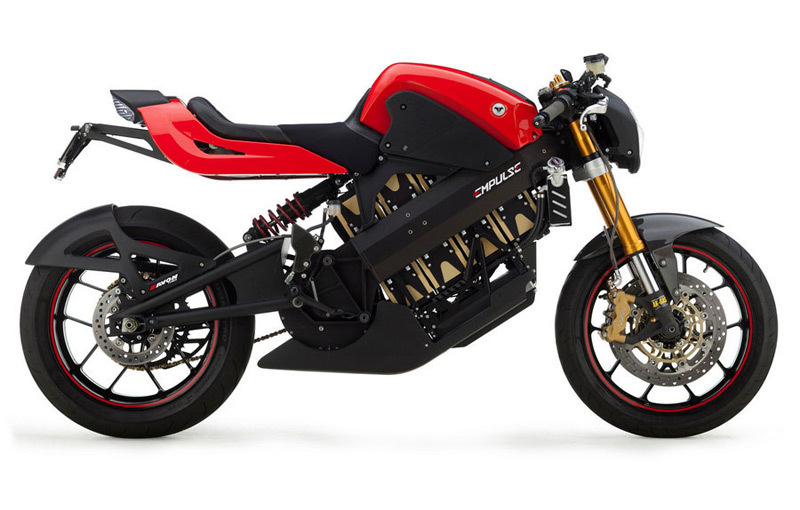 Now these bikes weight more because of the size of the batteries they carry for more power. 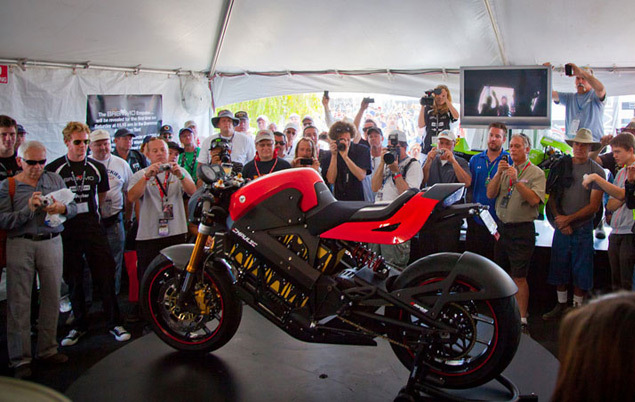 According to the performances the Brammo Empulse 6.0 costs $9995, 8.0 costs $11,995, and the Empulse 10.0 costs $13,995.